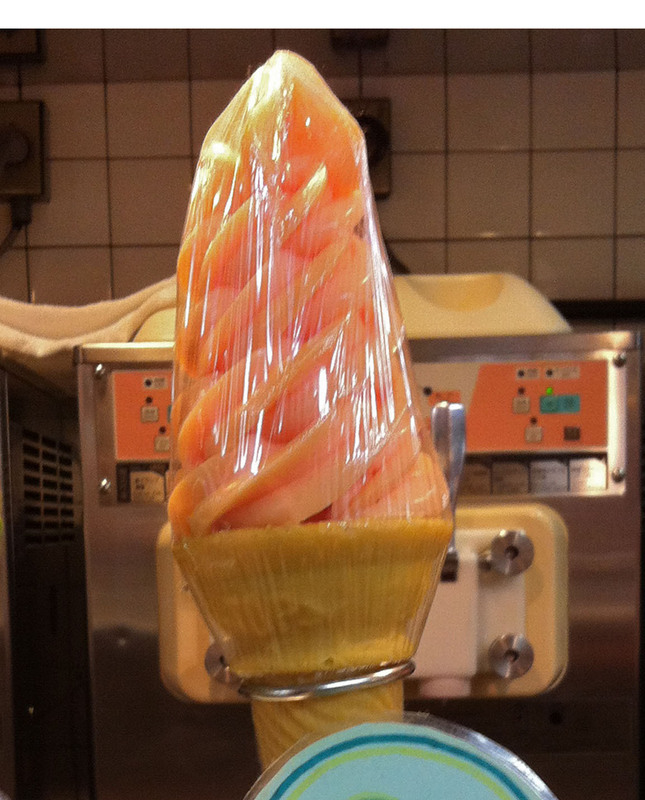 Home » Just another day in Japan » What’s Swirly and Orange and Not the Flavor You Think It Is? What’s Swirly and Orange and Not the Flavor You Think It Is? Okay, I’m not going to guess orange sherbet, then. Something more exotic…Mango! Nope. I’ll give you a hint: when I was in grade school, something this flavor was usually eaten with grilled cheese sandwiches. Oh no, it’s that weird togarashi pepper flavor from Ice Cream City, isn’t it? Saw this on offer at the ice cream place on the lower level of Nakano Broadway. I would be SO CROSS. Fortunately, they did write “tomato” in romaji down below, so hapless foreigners would not think it was one of those other orange flavors!